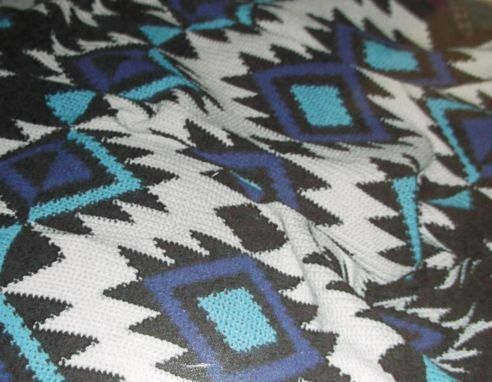 This beautiful Aztec afghan measures approx. 50" x 73". 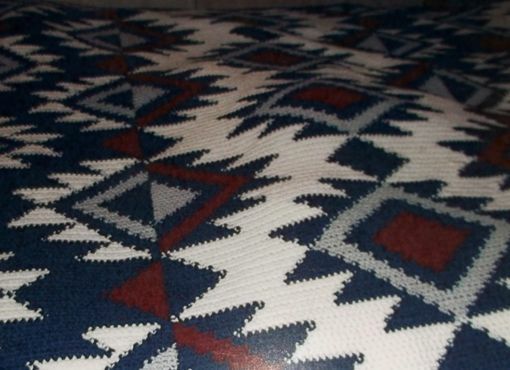 Three panels of stitches make the geometric design. Both of the afghans in the photos were special orders to match rooms. The burgundy and blue is now in a cabin in the mountains. Enjoyed by a Dr. and her family. I used 4 colors in each one. Choose your colors for a beautiful and stunning accent for your home.